Farm for your Life is rated 3.1 out of 5 by 30. Rated 5 out of 5 by empirebattles from A good game, for its own type This is a good game, but it isn't a fast game, nor is it really time management. 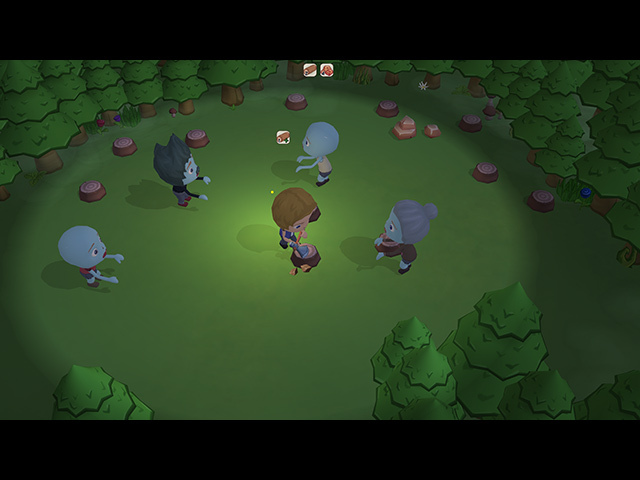 It is a simple game, growing plants, bartering for upgrades, tower/zombie defense, and throwing crops at zombies. IF YOU ENJOY THIS TYPE OF GAME, its a great game. If you look for straight time management, or action-packed tower defense/zombie fighter, then you'll be disappointed with the 'fun factor'. For the graphics style they were going for, its very smooth, and clean. The sound and music was simple and applicable to the game. The challenge level is decent (if you consider managing a farm and cafe during the day, and fighting off zombies difficult). But overall, this is one of my most relaxing games to play. Not too much stress put into it :) The one downside to this, is the storyline is lacking. It seemed that they made the game engine they wanted, and threw a story into it. The story wasn't bad, it just wasn't very noteworthy. Some people have complained about controls and interface; its not really that difficult, but like every game, you need to know what you're doing :) Its a farming village game at heart. Go into it with the right expectations, and you'll enjoy it thoroughly! Rated 5 out of 5 by Kiisen from Fun and addictive! I really enjoyed this game! The story is fun and engaging, the only negative I can come up with is the challenge level is a bit low and the game ended way too soon :) Hope to see a FFYL 2! Thanks a lot for a wonderful game! Rated 5 out of 5 by lininindy from CUTE -- SLOW paced Kind of like the old SIMS game. 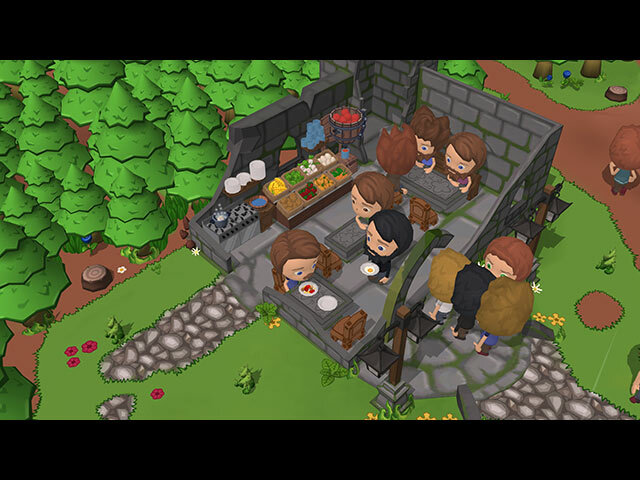 Collect resources, cook, farm, fight off bad guys... I had fun at a slow pace. The only thing I don't like is the tutorial (there basically isn't any). 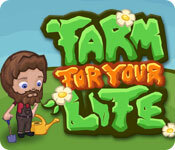 Rated 5 out of 5 by julie65608 from FARM FOR YOUR LIFE Call me crazy, but I like this game. If you take the time to go through the whole tutorial you will find it gives you the information you need. It is a slow paced game. For those of you who want speed this game is not for you. You must wait until it gives you the tool you need in order to progress. You can not move forward until it allows you to. I think this may be the problem some people are having with it. It could be geared more toward children, but I like it. Look out for night fall. The zombies come out! Have fun. Rated 4 out of 5 by rhennrainbow from Pretty Good! Though the graphics bugged me initally, (and I'm not a graphics person, I'm perfectly happy with most low quality graphics) I really like this game. 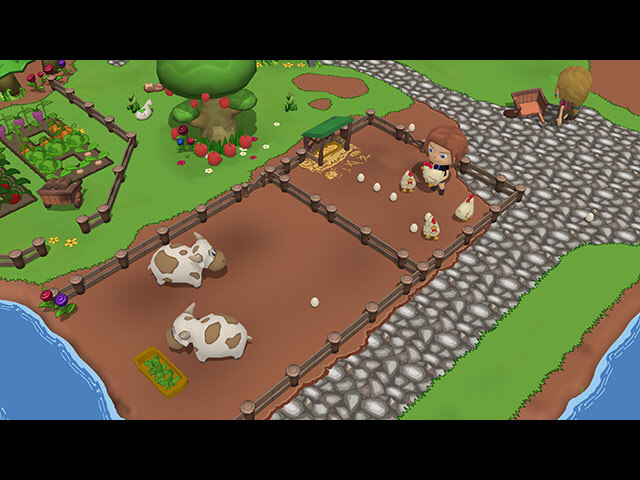 On one hand, it's your typical farming game, working much like the Facebook games. But on the other, there's a great cast of comical characters that make you want to keep playing. The story line is interesting, and while I typically skip cut scenes in most games, these are short and silly enough to keep me watching. I thoroughly enjoy this game, and have purchased it. I recommed this game. Rated 4 out of 5 by megandear from Fun Game I got addicted to this game when I first tried the demo, so much so, that I bought it. But I finished it really quick and I didn't get all the gold tools, kinda disappointed.